A LEADING Scottish legal firm based in the North-east has made two key appointments to strengthen the services of its corporate division. 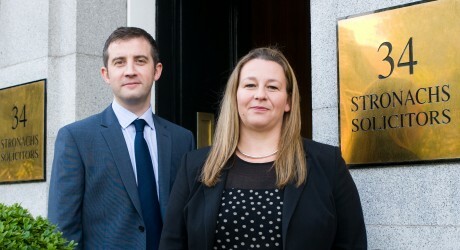 Stronachs LLP, which has offices in Aberdeen and Inverness, has appointed Callum Murray and Cara Erikson as senior associates to assist with the continued growth of the company. Mr Murray, started his legal career in Edinburgh and spent time seconded to Scottish Enterprise’s Co-Investment Fund in Glasgow, where he worked on private equity and investment deals. Prior to joining Stronachs, he worked in Dubai at the second largest non-international firm in the UAE, specialising in corporate work and mergers and acquisitions. In his role with Stronachs, Mr Murray will advise on a broad range of corporate and corporate finance work, including private equity, acquisitions and disposals, partnerships and business start-ups, along with commercial contractual matters including franchising, agency, distribution and IP/IT contracts. Ms Erikson’s started her legal career in 1994 as a barrister, subsequently qualifying as a solicitor in 2000. From 1998, she has specialised in employment Law. 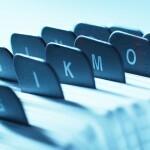 She will offer clients expert advice and representation on their business transactions. Head of the corporate division at Stronachs, Neil Forbes, said: “Stronachs is delighted to have Callum and Cara join the firm. “These appointments, together with recent internal promotions, demonstrates the firm’s commitment to strengthening its offering to existing and prospective clients. “The firm expects to make further appointments in the near future. Stronachs LLP, is now one of the few independent law firms owned, managed and operated from the North-east of Scotland providing legal and commercial advice across the UK and on an international basis. Check out twitter.com/nonstopstories. Check out too twitter.com/allLegalPR.